Shopping for a new or used car or truck? You've already got plenty to think about: Makes, models, optional equipment, colors and so on. When it comes to financing, make it easy on yourself with an auto loan from Amarillo Postal Employees CU. 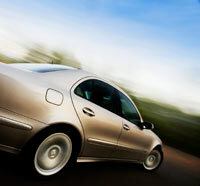 We have loans available for new and used cars and trucks. Our loans feature competitive interest rates and the kind of efficient, personalized service that only your credit union can provide. Click here for rates and terms on Amarillo Postal Employees CU auto loans or click here for the auto loan calculator.